54,000 Spinal Kinetics M6 Disc Replacements! 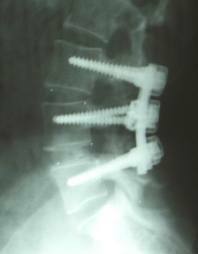 Over 54,000 Spinal Kinetics M6 disc replacement implants have been implanted worldwide with no implant failures or migrations to date. We find that 95% of M6 patients report significant pain reduction and symptom relief. Many surgeons still think disc replacement is a new and unproven technology. This is far from the truth! Some still think disc replacement is only a single level solution. Many are still using outdated high risk disc replacement implants. Our surgeons are now offering the breakthrough Spinal Kinetics M6 implant for the Cervical and Lumbar spine. 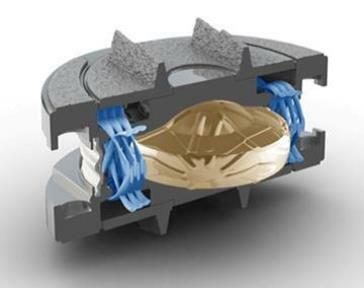 The first disc replacement implant to truly deserve the title "Artificial Disc". This implant achieves the ultimate goal of replicating the healthy human disc. By providing shock absorption and graded variable motion resistance, the M6 works in concert with the remaining human discs, to provide the best possible outcome. This "Quality of Motion" is a major benefit not available in any other implant we have seen! Are you confused about what treatment is the best option for you? Maybe you have been told you are not a candidate for Disc Replacement. You could be considering a temporary solution like discetomy, laminectomy or laser surgery. Many are told that fusion is their only option in error. In order to determine what treatment is right for you, you need a comprehensive evaluation, done by our team of surgeons, who are experienced with the full range of globally available options. We will provide you a complete written evaluation and surgery plan free of charge. Dr. Ritter-Lang has placed over 6,000 ADR implants and was the first to implant the Spinal Kinetics M6 disc replacement. Choose your surgeons carefully! Getting the best implant and an experienced disc replacement surgeon is critical! Dr. Ritter-Lang is among an elite group of the most experienced Disc Replacement surgeons in the world, and has dedicated his career to the sub-specialty of Disc Replacement. Choosing the team that is going to do your surgery is of crucial importance. Our team is well trained with the latest implant technology, is highly experienced, and is doing the procedure frequently. Experience has proven that a surgical team that does more of a specific procedure will have less complications and better outcomes for their patients. Our surgeons use certified facilities to provides the most advanced spine solutions and disc replacement implants available worldwide. Why wait? We are scheduling surgeries now! To begin your evaluation process; click the link and complete the online form. Then, send images, patient data form (print and include), etc. to us. In a week or two you will receive your diagnosis, surgery plan, cost, and scheduling options. With improved implants Disc Replacement is now even better! and a "Quality of Motion" that makes them truly deserve the title "Artificial Disc".